Although I have not been idle these first few weeks of the New Year, not much of my time has been spent at the sewing machine. 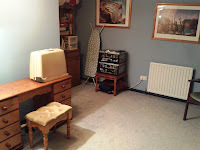 Partly, the attic room where I sew has been getting progressively messier and filled with more 'stuff' and in need of a good vacuum. I made it one of my 52 Challenges to get it back in order, and spent a great deal of time last week making it a more pleasant place to be. And I hardly dare drop a thread now, however, I suspect that that won't last long! 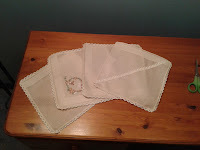 And tonight I mopped up a little sewing job that has been outstanding since the Autumn - when I was on holiday, I saw what I thought was a pack of ladies handkerchiefs which I thought my mum would like. Turns out my Spanish is not what it might be, and the pack of handkerchiefs were in fact just one huge gents hanky. 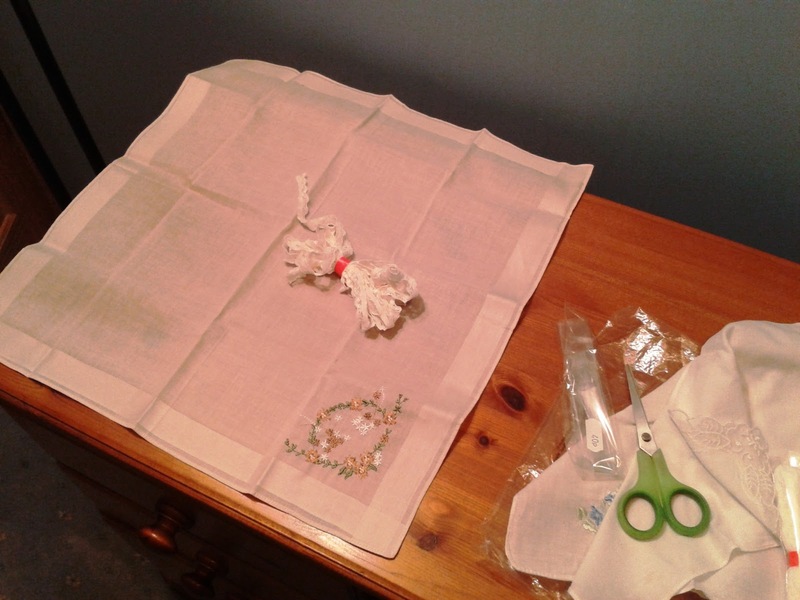 I was the work of a couple of hours to quarter the huge hanky and edge with some lace, and I hope that mum will be pleased with her present, despite it being some months late! Next on my hit list is to finish QuiltSue's Festive Mystery - I'm taking it for my Godmother when I next visit in a couple of weeks. There's nothing like a deadline to focus the mind, is there? I agree with you; a list and deadlines are very motivating. 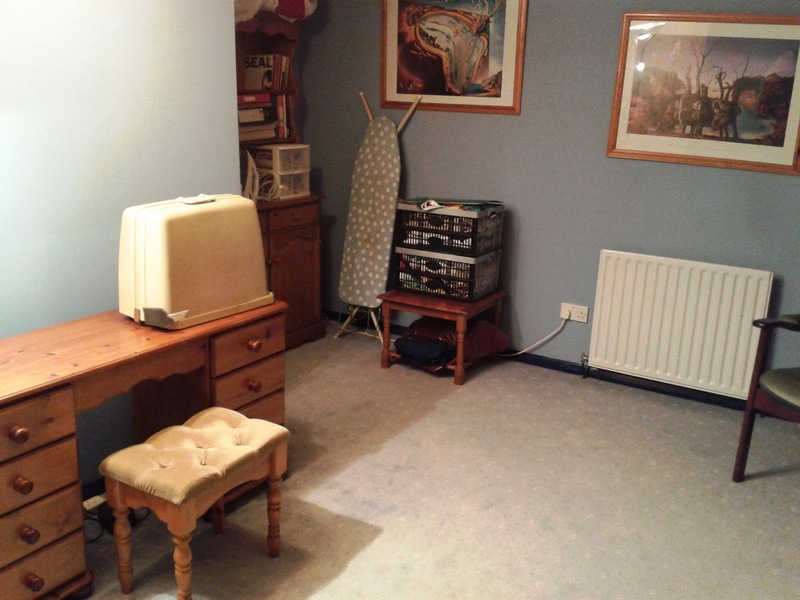 I wish my sewing space looked as good as yours does right now. The hankies look great. Your mom will love them! She was delighted with them, Lesley - although the 'pretty' one with the embroidered corner is now being used as a doily, rather than a hanky. In my world the ONLY thing which focuses the mind is a deadline!! I'm with you on 'to-do lists', Bilbo! I'm going against teh grain here, but I find deadlines are the thing most likely to unmotivate me! I find myself thinking "it's not needed until tomorrow, so I won't do it today!" It'd be boring if we were all the same, though, Sue!